Want to help? Call our front desk 815-477-0033 to find out more ways to contribute to this wonderful organization. Monday, June 17th at Turnberry Country, find out more here. 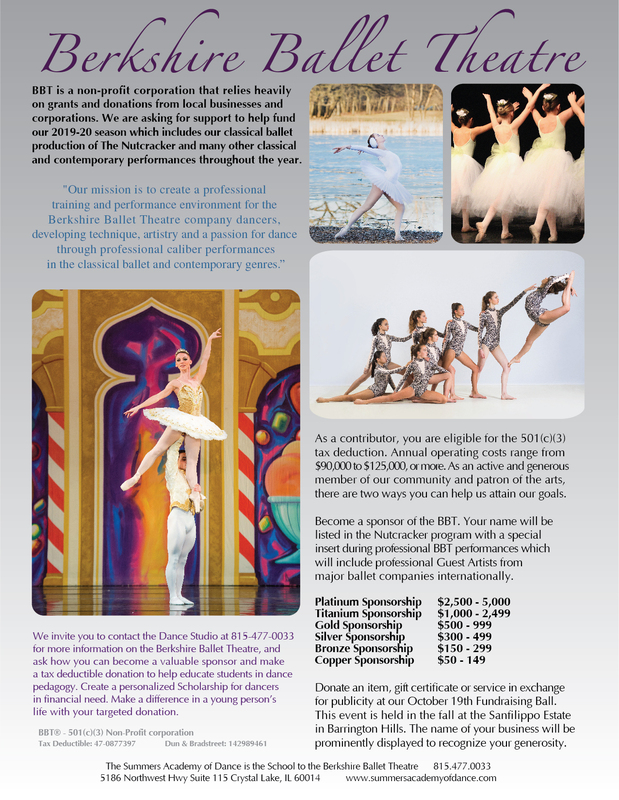 One of the ways the funds raised by this event will help assist the level of professionalism we strive for at the Berkshire Ballet Theatre is in the maintenance and upkeep of our wonderful costume department. We are proud to have built over the last 22 years a wardrobe department for our dancers consisting of a full Nutcracker and Cinderella show plus many more costumes for classical and contemporary ballets, easing the constant pressure on the parents to buy a costume for every performance. This is something we value at the Berkshire Ballet Theatre and an aspect of our studio that we feel separates us apart from other dance companies and schools in our area.